Time is a complicated matter. Everyone knows about time difference between Britain and distant nations; most of mainland Europe's ahead, America is behind, but there are differences in time no matter how small the distance between the two places measured. 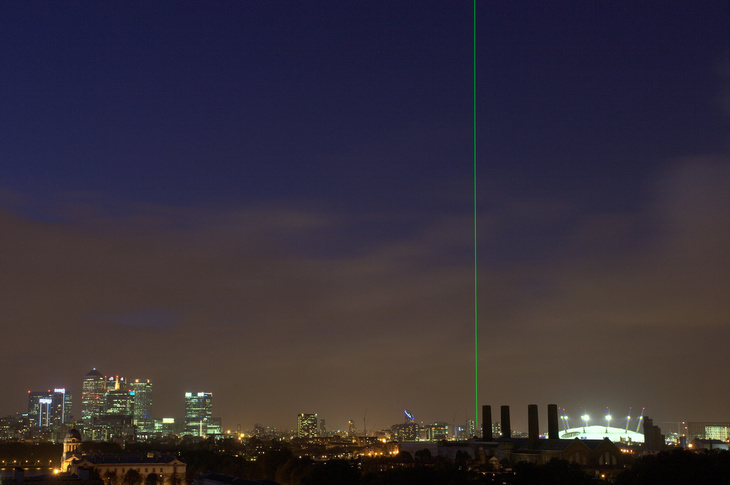 For example: the sun rises in Greenwich a whole 23 seconds before one can see it at St Paul's. So why does the whole of Britain set its clock to London, and even more specifically Greenwich? 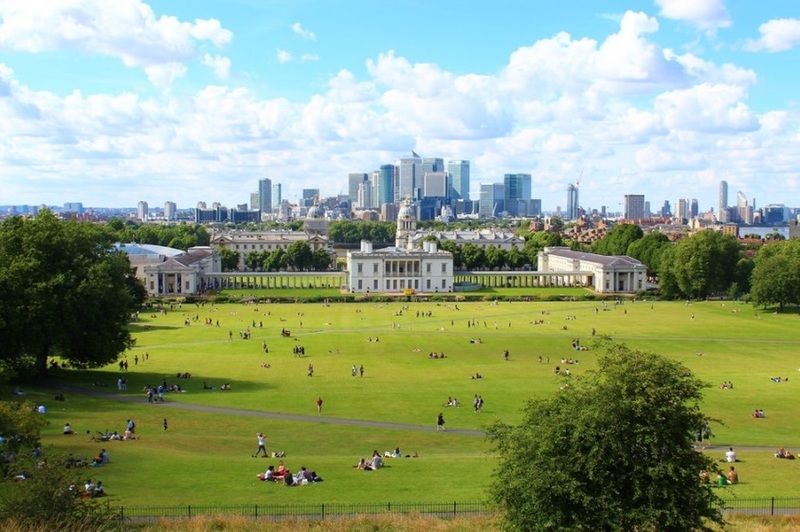 Greenwich Mean Time originates in the British Observatory, which is based there. They were constantly using science to try and increase their time-keeping accuracy, so became an authority on the subject. This led to the entirety of London surrendering to Greenwich. But the rest of the country wasn't quite so simple. In the early Victorian period people measured time based on where they were. The clock on Bristol's Corn Exchange is proof of this. 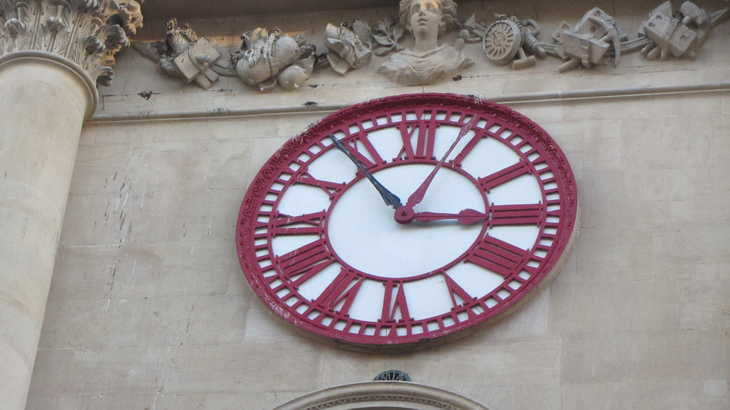 An uninitiated passer by might be a little confused as to why the clock has two minute hands roughly 10 minutes apart. Well, the red hand is set to GMT while the black hand depicts Bristol time; that's time calculated from Bristol's exact longitudinal position. So why did things change? Like all things in life, it came down to the railways. As anyone involved with the railways will tell you — well except for maybe Southern — time is very important when it comes to trains. This became ridiculously complicated when trains travelled between towns in (marginally) different time zones. Passengers missed trains and — more worryingly — there were a number of trains nearly crashing. In 1847, Great Western Railway put an end to this madness by imposing one unified 'railway time' across their network. Railway time was set to Greenwich Mean Time, but not everyone took this lying down. The Dean of Exeter was an aggrieved party who for years refused to change Exeter Cathedral's clock from what some viewed as "the correct time". Hence the introduction of clocks with two minute hands across the country, as a compromise. After years of the nation informally moving towards Greenwich Mean Time, it became law in 1880 through the Statutes (Definition of Time) Act. Finally the kerfuffle was over and an entire nation was forced to yield to the power of the mighty Greenwich. Be it correct or not.